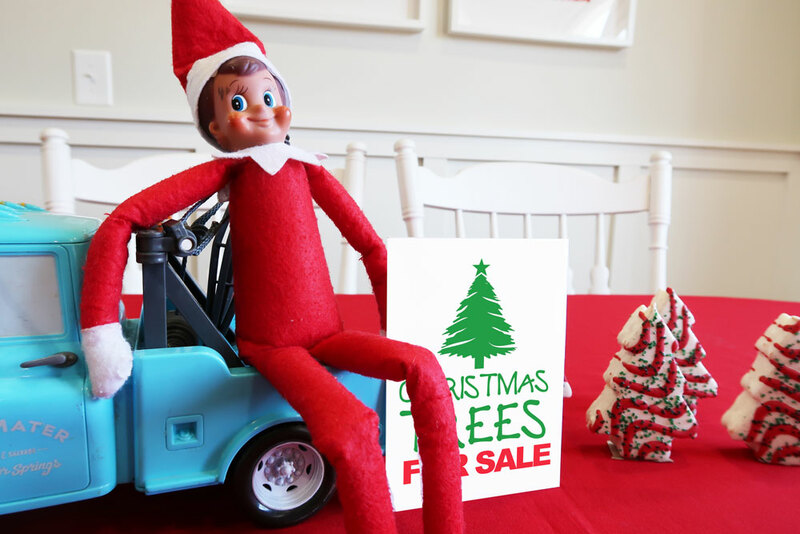 New Elf on the Shelf idea: Don’t worry if you haven’t had a chance to get your Christmas tree yet, Elf has you covered!! This was really fun to set up! We grabbed a box of Little Debbie Christmas Tree cakes and set them up like Christmas trees. You can also find the Free Printable Christmas Tree sign below, as well. The kids had so much fun with this new Elf on the Shelf idea! And they had even more fun eating the trees afterwards. Click HERE to return to the Elf on the Shelf Idea home page for 55+ more NEW ideas!